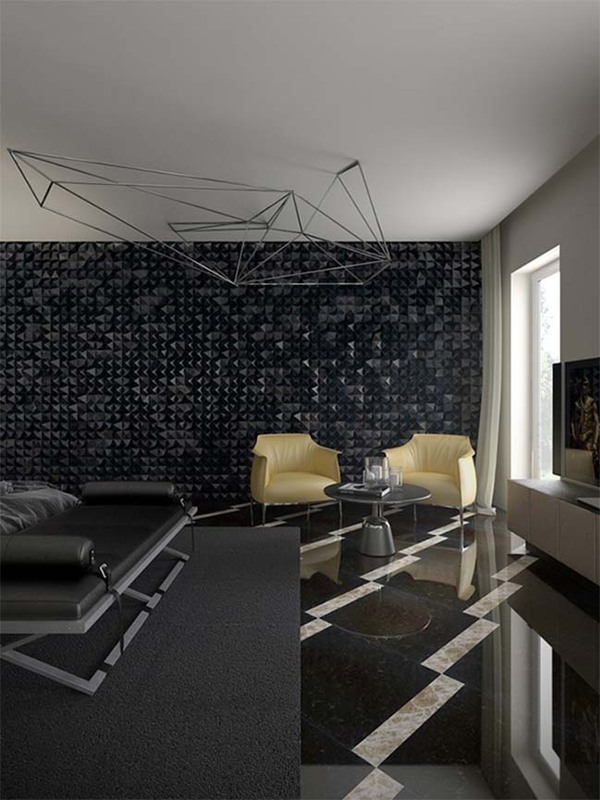 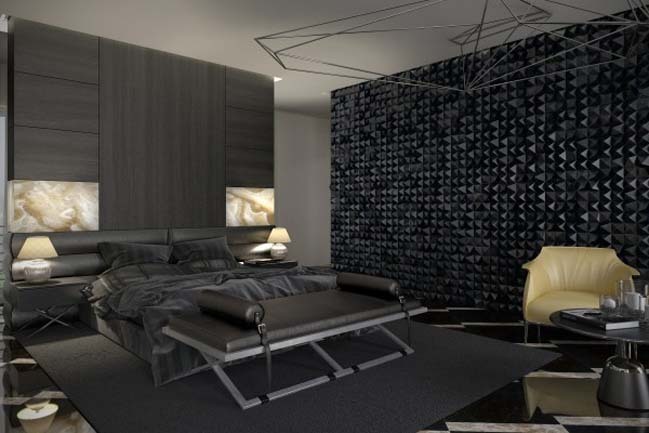 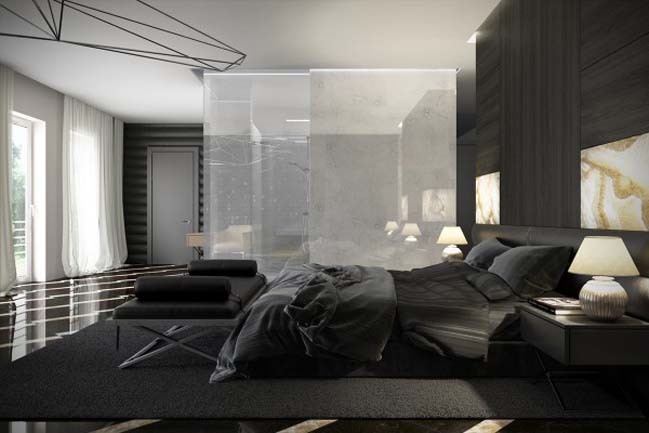 This master bedroom design was completed by Serbian designer Branko Matic to create a luxury and personality space with dark grey tone. 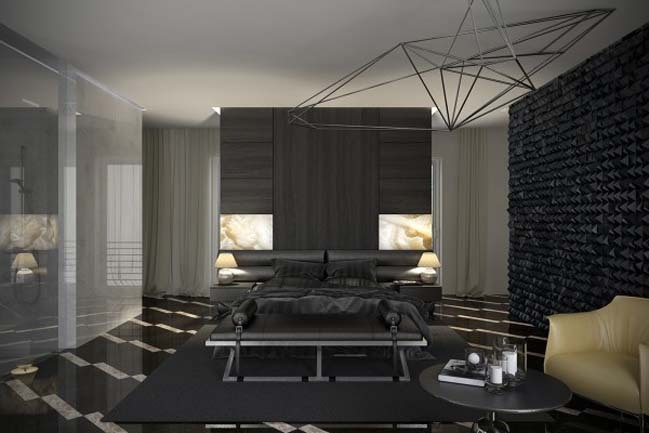 A wall with the "3D pyramid" pattern makes the master bedroom more vivid and unique. 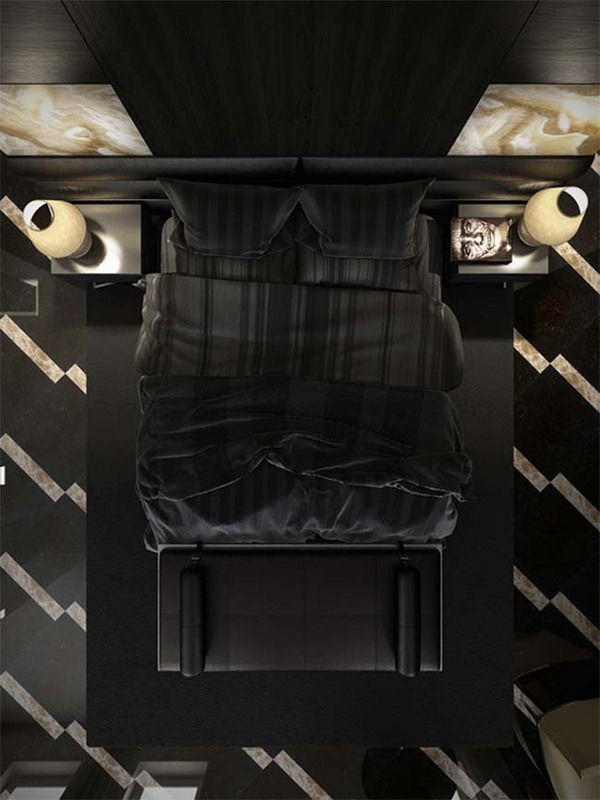 In order to the space not too dark, the designer has added some highlight gold accents to help rebalance the colors of the space as well as make the bedroom more luxurious.